Chances of getting a job as a game developer are poor for those wanting to enter the role, but good for those with experience. 2-3 years of training usually required. experienced games developers can earn between $60,000 and $80,000. very experienced games developers and managers can earn $80,000 and above. Source: New Zealand Games Development Association, May 2018.
create test versions, and identify and correct any errors. Most game developers specialise in a particular aspect of game design. 2D and 3D art and animation software. work in offices or studios and usually need to meet deadlines. Luba Miteva gets paid for what others do in their leisure time – playing video games. 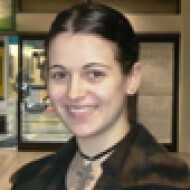 Luba is one of nine game software testers working for Wellington developers Sidhe. "I feel pretty lucky; some days I have to pinch myself." But testing a game involves more than just playing it. Luba ensures all the games' features and graphics are doing exactly what they're designed to do. "You need an eye for detail. Some bugs are big and easily spotted, but others are harder to see. "We are usually working off a test plan and checking one particular thing at a time. There’s internal tracking software that we use and every time you find something wrong, or not where it’s supposed to be, you have to log the faults consistently and clearly." Luba, who has a Diploma in Software Development, loves her job, though it often involves working late. "Everything we do is on a really tight schedule so some weeks there are crazy amounts of overtime. But I don’t mind because it’s an awesome job." My name is Maru Haeramuri Nihoniho and I’m Whānau ā Apanui, Ngāti Porou, and Ngāi Tahu. I make games across all genres from action adventure to puzzle games for PlayStation to mobile phone games. I’ve always had an interest in computer games right from when I was young and I’ve always enjoyed being creative so I’ve been a bit arty, I enjoyed technical drawing at school and so it wasn’t until later on in life when I realised I could combine the two and start my own games company. I thought I would just do it and then learn as I go along and so yeah it’s been a big learning curve for me. I put myself through a multimedia course and that was so I could get the basic knowledge of how to design websites, how to edit video and audio and also some 3D modelling and animation. A lot of people think that games are for teenage boys but statistics show that actually half the game players are female and they’re a bit older than teenagers so it’s quite a balanced market. The other misconception is that I have a lot of fun while I’m working and that I play games all day, which I actually play games for research, you know if we’re developing a certain game then I’ll research it. However my game-playing days have become limited now that I started making them, I guess I transferred the fun of playing games into making them. One of the big challenges I have is finding the staff I need to make the games. There is a shortage of programmers and art people to come on board and join the team. The skills you need to come into the industry depend on what you’re going to do within the team. If you’re wanting to come and be a game artist then the best thing to do would be through school take on art subjects such as art, technical drawing will help a lot and then follow that through into tertiary education. My programmers have come to me because they’ve had a strong interest in maths and science and they’ve followed that through high school on through to tertiary education. Some of them have come through doing a specialised game development course and others have come out of university after doing a Bachelor in Computer Science. The opportunity and the potential is huge, I think that being in New Zealand we are in a unique position and we’ve got our own stories to tell. We don’t have to follow formats from overseas. We can actually come up with our own unique ideas whether they’re cultural, or whether they’re just New Zealand-themed. With Māori I think we have that extra layer of uniqueness. Come and work in the games industry because it’s creative, it’s exciting, it’s changing, the technology changes, it offers new challenges all the time, it doesn’t get boring, what we do evolves constantly and because of that it makes it fun. To become a games developer it is essential to have experience of video and computer games. To become a game programmer, you usually need a Bachelor's degree in computer science, software development, or engineering. Many university degrees have papers specialising in game programming or interaction design, and opportunities to make a game as a project. To become a game artist or designer you need a portfolio of your work or a showreel of games you have built (including online or board games). Some knowledge of programming is also an advantage. A tertiary entrance qualification is needed to enter further training. Useful subjects for games programmers are maths, physics, and digital technologies. Useful subjects for game artists are art history, visual arts, and design and visual communication. good at oral and written communication. playing computer and video games. Game developers spend a lot of time using computers and gaming consoles, so they need to know how to use computer equipment properly to avoid occupational overuse syndrome (OOS). the rapid growth of e-sports (playing competitive professional video games in teams online, and in person at large venues). About 600 game developers work in New Zealand, but this isn't enough to meet demand. Game programmers, artists and designers were the most in demand in 2017. As a result, a number of game developer-related jobs appear on Immigration New Zealand's long-term skill shortage list. This means the Government is actively encouraging skilled game developers in these categories from overseas to work in New Zealand. software and applications programmer NEC. 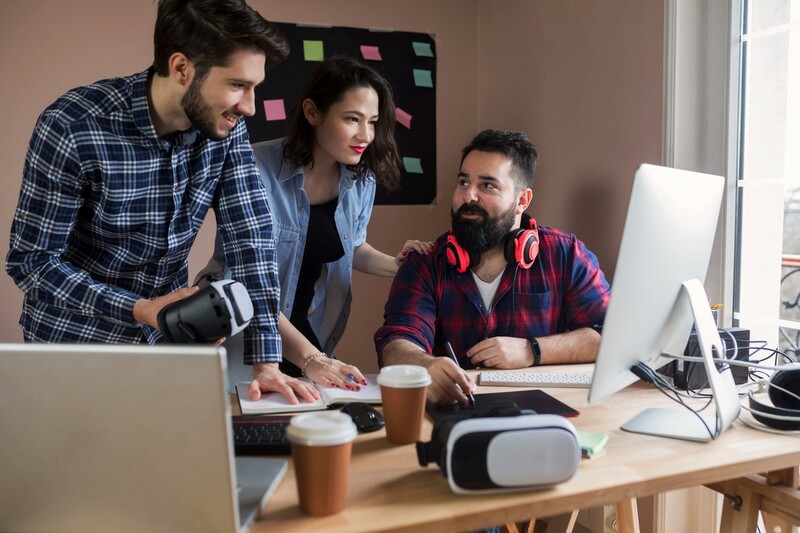 Your chances of getting a game developer job as a new graduate are best if you have a specialist game development qualification, as competition is high. network by attending the New Zealand Game Developers Conference, game developer Meetups and Play by Play. New Zealand has about 30 game development companies, with staff numbers ranging from fewer than five, to 100 or more. About one third of game development employees are game programmers, 28% are game artists, and 10% are game designers. Game developers may be employed on a fixed-term contract or permanently. Some game developers are self-employed. New Zealand Game Developers Association, 'Make Games in New Zealand - We're Growing and Hiring', accessed May 2018 (www.nzgda.com). New Zealand Game Developers Association, 'NZ Game Development hits $100 M - New Zealand Game Development Industry Survey', 2017, accessed May 2018, (https://nzgda.com). Statistia, 'Value of global video games market from 2011 to 2020 in billions of US dollars', accessed May 2018, (www.statistia.com). Vermeulen, M, Chairperson, New Zealand Games Development Association, www.careers.govt.nz interview, May 2018. Game developers may progress to set up their own game development or software business, or move into management roles. Game developers usually work in one of three areas – game programming, game art design or game design. Within these areas, they may specialise in a particular aspect. production and development – a management role, making sure tasks are completed, negotiating contracts, hiring staff, and controlling finances. Animators and digital artists use software, models, photography and drawings to create still and moving images for advertisements, film, print, web or television. Film and video editors assemble video, graphics, audio and text into a finished product for films, television programs, video productions or commercials.